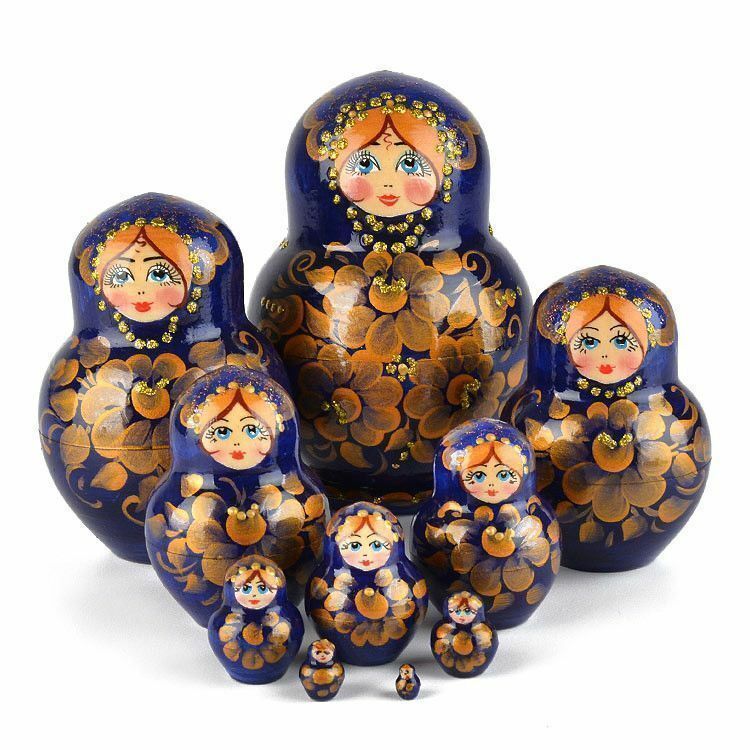 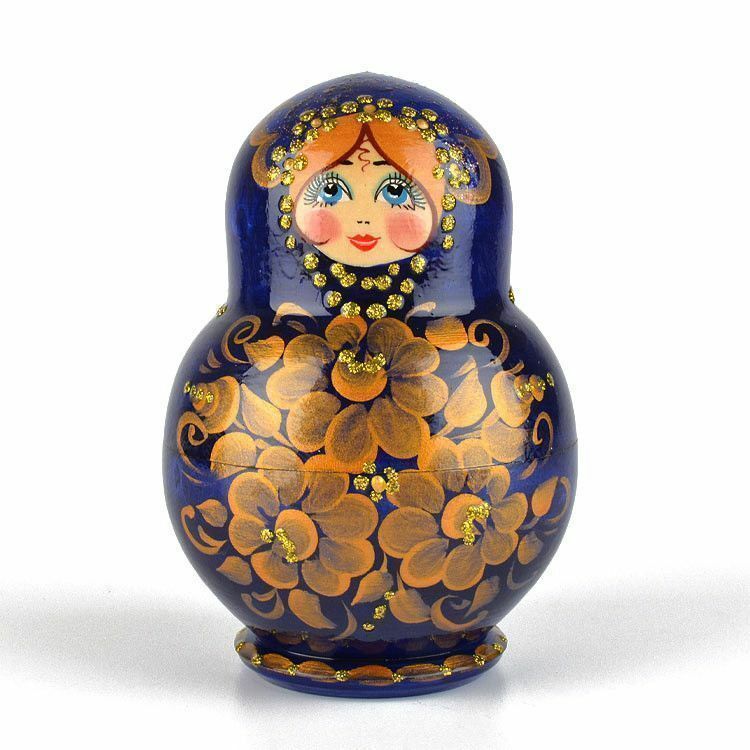 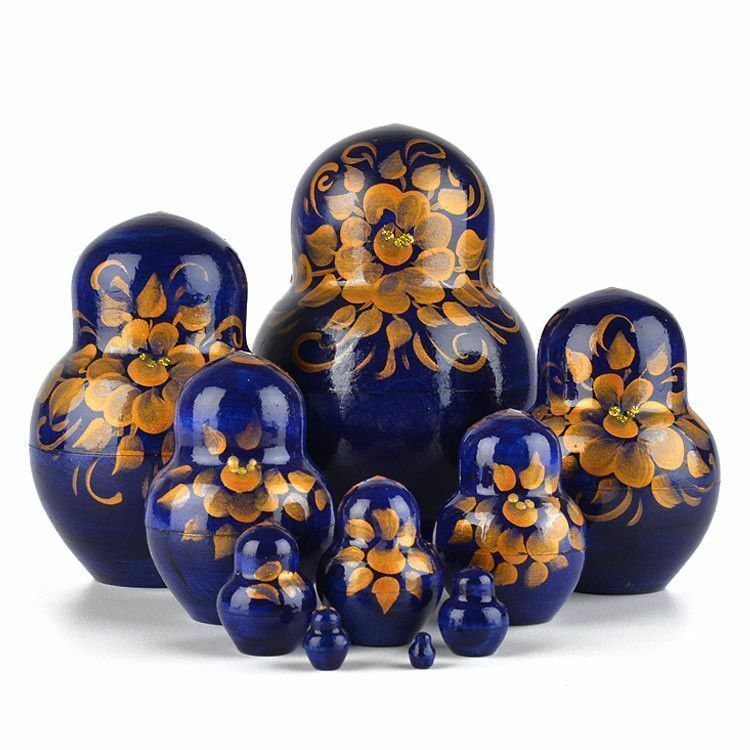 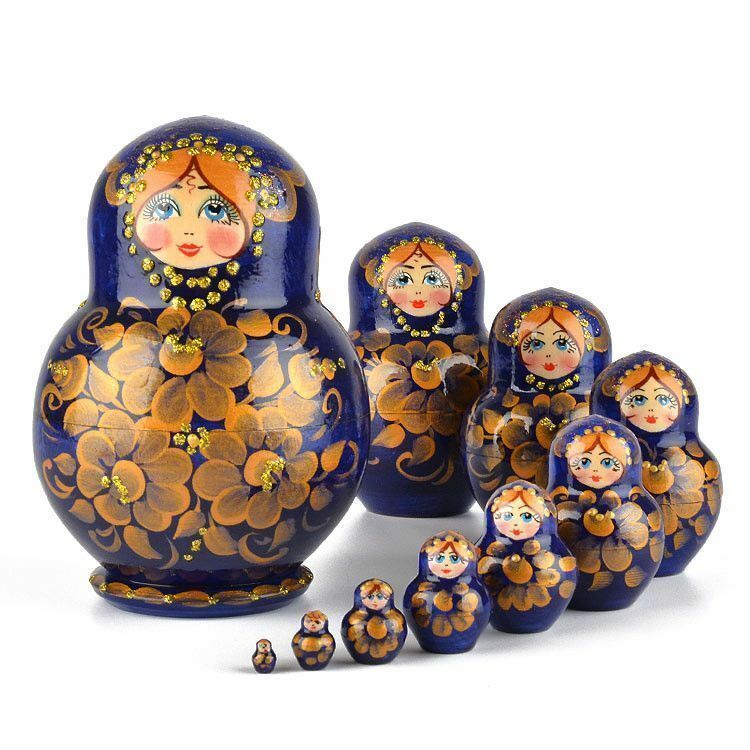 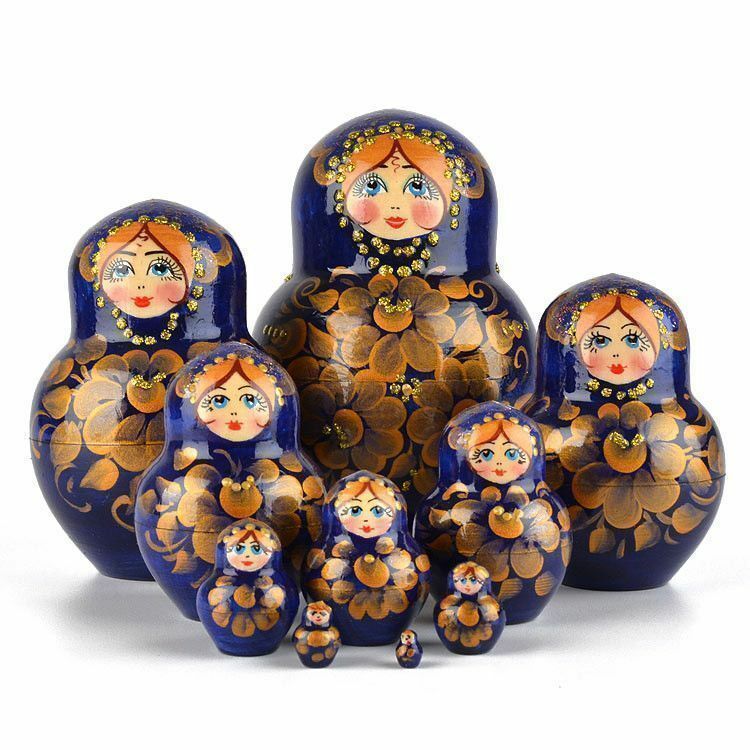 This dark blue with golden flowers matryoshka nesting doll is "short and chubby" standing at about 5 1/2" tall, and about 4" wide. 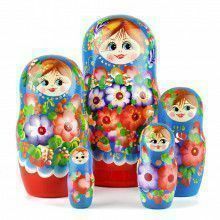 The Russian artist painted the flowers with a golden color paint and also accented the doll with gold sparkles. 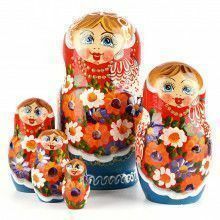 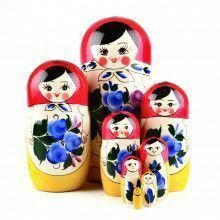 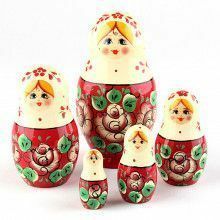 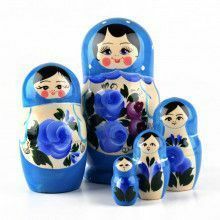 This fabulous floral matryoshka doll was hand-made in Russia.